Disclaimer: The information on this page is intended for individuals who have been medically diagnosed with diagnosed Metatarsalgia. If you suspect that you have Metatarsalgia then it is important to visit a qualified medical professional in order to rule out any other possible causes prior to considering any advice or treatment option. Pain in the ball of the foot (Metatarsalgia) is actually an extremely common complaint and is often experienced by women that wear medium to high heel fashion shoes. However this ball of foot pain can also develop by both men and women when wearing flat shoes. While the underlying condition is the same “metatarsalgia”, the cause of the pain in the ball of the foot is often different. To learn more about this painful condition and how the 100% natural OSMO Patch can help you, please continue reading below. Is ball of the foot pain stopping you from wearing your favourite shoes, affecting your ability to participate in sports or exercise, interfering with your work or daily activities? Is affordable & backed by a ‘No questions asked Money Back Guarantee’? The chances are, like most people that have ball of foot pain, you answered yes to at least one of the above questions. The OSMO Patch may then be the answer you have been searching for and may be one of the most significant decisions that you may make towards becoming free from pain in the ball of your foot TODAY! It is first very important to properly understand what the different ball of foot pain causes are and to understand metatarsalgia symptoms (ball of foot pain) and metatarsalgia treatment options. Metatarsalgia in the correct medical term for ball of foot pain and the name comes from the group of bones in the feet that are affected… the metatarsals. The metatarsals are a group of longitudinal bones that run from the arch of the foot to the joints of the toes. Unfortunately in some individuals the metatarsals may collapse due to too much pressure or weight distributed on the area. This unwanted pressure subsequently results in inflammation in the surrounding tissue and pinching on nerves presenting as pain in the ball of the foot. Medium and high heel shoes that redistribute a lot of the body weight to the ball on the foot. Over-pronation of the foot (rolling in) which places longitudinal stress on the metatarsals. Footwear that is tight around the toes which may add pressure on the ball of the foot due to the foot being forced into a tight space. Being overweight can also place excess pressure and longitudinal stress on the metatarsals. Age related weakening of the supportive tissue that holds metatarsals in their correct position. Sports and other high impact exercise which may cause repetitive stress and injury increasing the risk of metatarsalgia. A sharp shooting ball of foot pain when standing. Increasing pain when wearing tight shoes or heels. Decreased pain when weight is actually taken off the feet. Having already used these medications with little to no benefit. Simply preferring to use a 100% natural approach to treating the pain in the ball of your foot. Additionally you may just be looking for a natural non-invasive complimentary treatment to expedite and aid the recovery of your metatarsalgia pain. Fortunately the OSMO Patch used together with proper rest now offers an Intelligent 100% Natural Alternative to reducing pain and swelling associated with metatarsalgia! 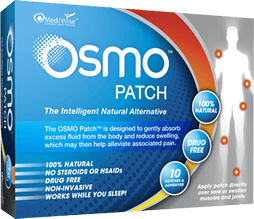 The OSMO Patch is able to draw fluid from the body & reduce swelling, inflammation and associated pain which makes it an ideal natural metatarsalgia treatment when combined with appropriate rest. The OSMO Patch is simply stuck over the affected area at night prior to going to sleep. It is here where it then goes to work reducing inflammation and stimulating blood flow in the ball of the foot continually throughout the night. When you wake up in the morning simply remove and discard the used patch. This is then repeated as required. So if you are ready for a natural & effective approach to supporting the relief of inflammation and pain caused by metatarsalgia then the OSMO Patch is the Answer!